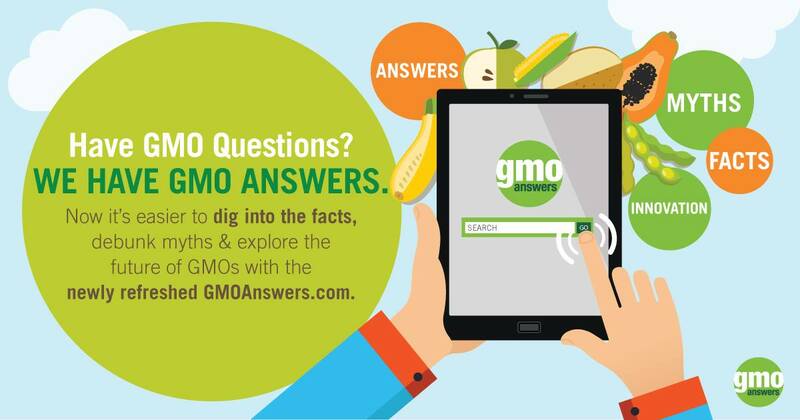 You may be surprised to know that we rely on genetically modified crops for more than the food we eat. We also use them for the clothes we wear, for medicines and for fuel. Seventy-five percent of all cotton produced worldwide in 2015 was genetically modified. 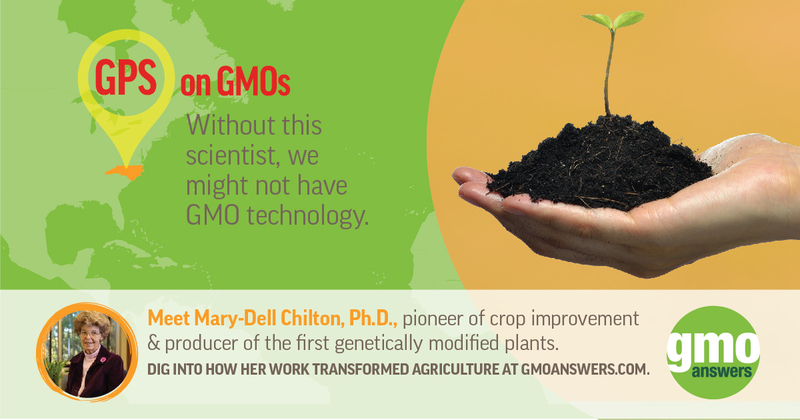 In the U.S., 93 percent of all cotton currently grown is GMO cotton. Cotton is an extremely versatile crop that has been grown for thousands of years. Thanks to insect-resistant and herbicide-tolerant genetically modified cotton, farmers are able to protect this crop from pests and weeds. A U.S. bale of cotton weighs around 500 pounds, and one bale alone can produce 215 pairs of jeans, 250 single bed sheets, 750 shirts, 1,200 t-shirts, 2,100 pairs of boxer shorts, 3,000 diapers, 4,300 pairs of socks, or 680,000 cotton balls! Cotton provides more than just apparel and home furnishings, however. Every part of the cotton plant can be used. The long cotton fibers are used to make cloth, the short fibers provide cellulose for making plastics and can be used in the paper industry and processed into batting for padding mattresses, furniture and car cushions. You can make oil, margarine, soap, cosmetics, rubbers, and more out of the seeds of the cotton plant. The leaves and stalks of the cotton plant are plowed into the ground to make the soil better. Cottonseed and cottonseed meal are used in feed for livestock, dairy cattle, and poultry. Corn is planted on about 80 million acres in the U.S., and according to the USDA 89, percent of those acres are GM corn. Approximately 99 percent of the corn grown in the U.S. is field corn, with the remaining one percent being sweet corn. What’s the difference between field and sweet corn? Whereas you’ll find sweet corn in your produce aisles and farmers markets, field corn is typically used for livestock feed, food ingredients, and to make a wide range of consumer products. In fact, there are over 4,200 uses for field corn, including fuel for our cars, oil for sunscreen and water bottles, starch for magazine printing and sidewalk chalk. "Here’s this one rather simple crop from which we humans have learned to make so many different things,” said Katie Pratt, corn and soy farmer, and author of the blog Rural Route 2. CommodityHQ explains that corn is “often used widely in a number of other applications as well. Corn, for example, is used in everything from artificial sweeteners to fuel sources to papers and containers.” Corn is also used to make matchsticks, crayon, carpet and much more. Today, soy ranks second only to corn as the most widely planted field crop in the U.S., and approximately 94 percent of the soy planted in the U.S. is GM soy. Most soybeans grown in the U.S. are used to produce soybean meal and soybean oil, but there are many other uses for this versatile crop. North Carolina Soy explains that because soy oil creates an environmentally friendly solvent, soy is used in many industrial lubricants, solvents, and cleaners. United Soybean shares some of the ways soybeans are being used to help replace petroleum-based chemicals and known carcinogens in industrial products. For example, soy oil can be used to replace formaldehyde in many products, and even petroleum in some manufacturing processes. Additionally, plywood, paints containing soybean oil instead of petroleum-based oils, ink, candles, carpet backing - including backing for Astroturf in football stadiums - can all be made from soybeans. Henry Ford is a well-known innovator, so it's not surprising that he was interested in alternative materials for vehicles as early as the 1940s. Ford unveiled a "soybean car" in 1941 that had a plastic body made from soybeans (among other plant materials) and was 1,000 lbs. lighter than the average steel car. Today, Ford Motor Company is still utilizing soy as an alternative material, including soy foam for interior seating. 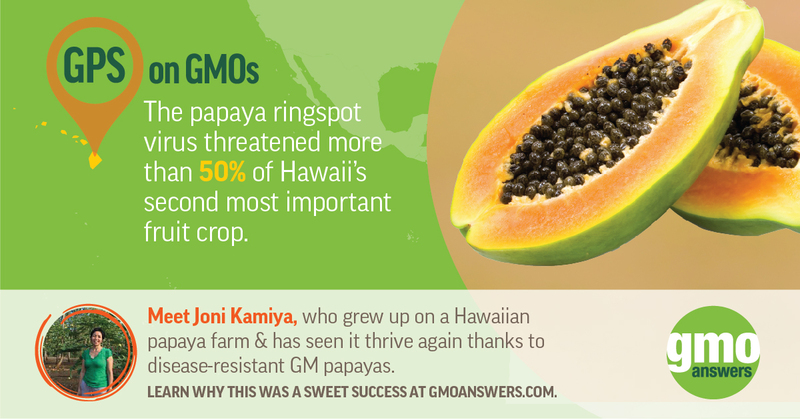 Some GMOs are even saving lives. Since the 1980’s genetic engineering has been used to develop human insulin. Currently, about five million Americans use genetically modified insulin, and without GMOs, the demand for insulin would not be met. Researchers are also studying the use of monoclonal antibodies produced in GMO tobacco plants as a potential drug treatment to combat Ebola. In fact, vaccines derived from GMO techniques are already preventing a range of diseases including hepatitis A and B, diphtheria, tetanus, pertussis and polio. Other GMO vaccines are under development for which non-GMO methods have been ineffective including vaccines to fight cholera, malaria and other diseases. Genetically engineered crops are used to grow renewable fuels as well, such as ethanol and biodiesel. 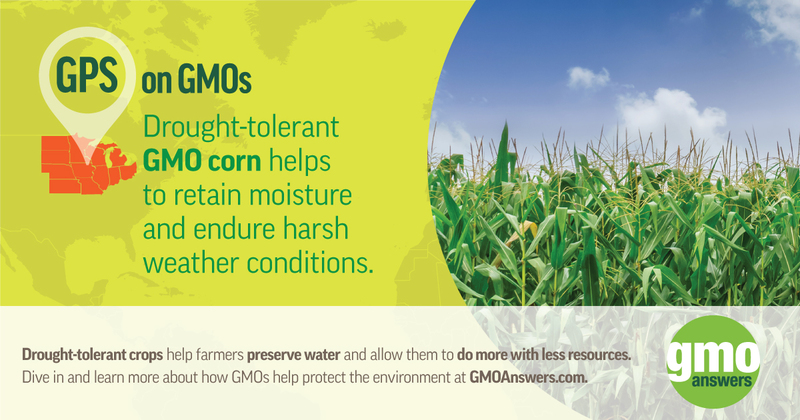 Ethanol is traditionally produced from GMO corn and biodiesel from GMO soybeans. Additionally, researchers are developing second generation of biofuels produced from cellulosic biomass and algae. Certain biotech corn varieties enable more efficient biofuels production by improving the process through which cellulose and/or starch is broken down and converted to fuel. This helps reduce the environmental impact of the manufacturing process by decreasing the amount of water, electricity, and natural gas needed to produce biofuel.